We have a line-up of Australia's BEST keynote speakers. If you're interested in personal growth, health and well being, business development, or mindfulness, we have a speaker on the agenda for you! Jordan D'Urbano helps consultants and coaches who are wanting to make more money and expand their impact. He has founded 2 businesses before the age of 25, was ranked as a 30 under 30 Entrepreneur By Anthill Magazine back in 2015 and has been able to share the mic with experts like Dr. John Demartini and Coach Tom Ferry. Having been the head of sales for various start ups and made over 30,000 sales calls in the training & coaching sector Jordan is an expert when it comes to human behaviour and sales. He also the host of The Game Of Sales Podcast & creator of the sales system "The High Paying Approach™". "Wanting more time off? And some extra profit to ease the stress? Of course you do, what kind of business wouldn't? There's only 2 things to focus on then when it comes to improving this result: marketing & sales....While there are countless experts and gurus out there talking about sales funnels and lead generation, I believe they have all forgotten about the number #1 priority in business growth. And that is knowing their CLIENTS and their BEHAVIOUR. At the Holistic Business Hub Launch I'll be teaching you how to make sales SO much easier and less complex by understanding the 4 types of Client Behaviour. Implementing these strategies into your business will help you generate leads faster, handle objections sooner and produce income easier. When it comes to public relations, marketing and the media – Linda Reed-Enever is the quintessential “go to girl”. Linda not only understands publicity but lives and breathes it, connecting people and ideas through her PR Company ThoughtSpot PR, her highly successful media agency, Media Connections, and her innovative online business community Business Business Business. This furnishes Linda with a unique perspective of the needs and challenges of business, small and large, and as a business owner herself Linda understands what it is like to be in the trenches and need to get out occasionally. Being a business owner is a great job especially if you work remotely or from home. It gives you freedom to work when and where you want, and can offer you that all elusive “balance” you have been looking for…However, it can eat up your life and your time too if you don’t set boundaries and stick to them. Boundaries are essential to business success without them you can't be or deliver your best. In this workshop PR and Marketing Go to Girl and Business Business Business founder Linda Reed-Enever shares with us why boundaries are important and how we can create them for our business. No, and me time are not dirty words but essential in business Linda says, come and find out why! Author of Stop & Reset, Experienced Head Coach with a demonstrated history of working in the health wellness industry. Skilled in Disease Management, Life Coaching, Wellness Coaching, Team Building, and Public Speaking. Strong professional with degrees in BNursing and GradDip PsychSc. This is a topic in which we all agree, no matter where we come from whether we are rich or poor, there is a connection between happiness and gratefulness. are we happy because we are grateful or are we grateful because we are happy? How would you feel if you can be happy most of the time irrespective of what is happening in your life? Have you ever wondered why some people always seem to have a smile on their face and brighten everyone around them with their lovely happy energy? This keynote is extremely relevant in business today and it takes the audience through a process where they are given the tools to determine which opportunities, direction and marketing messages are the right ones, so they are confident and empowered moving forward. It’s both informative and moving. Helene Pouwels is on a mission to help people falling amazing about themselves. She is passionate about health and wellbeing and runs online programs, workshops and webinars to help people falling in love with themselves and get the body and life they desire and deserve. Originally from France, she has worked and lived all over the world before migrating to Australia more than a decade ago. Come and join us to feel her passion and get a boost of energy and motivation to work towards a better you! Body Worth Being is originally a 3h workshop during which Helene shares the 6 ingredients of Your Success Recipe to achieve your health & fitness goals. She works at the intersection of Mindfulness, Neuroscience and Epigenetics and focus on working with Mind and Heart to achieve Body & Health transformation. She will be sharing a condensed version of her workshop for our launch. This keynote will help you understand how to increase your overall wellbeing. It will help you understand how to increase your self-confidence, self-esteem and self-love. And it will allow you understand the 6 main pillars to manifest anything you want, including the body. Ashleigh Alsadie (Formally Hoult) is the Founder and Director of Melbourne-based sales and marketing firm The PromoDonna. The business creates high quality B2B sales leads and meetings through cold calling and prequalification for their clients. Ashleigh has a passion for training both individuals and organisations, showing them just how to optimise their success during their business development and selling time. Her training uses tried and tested strategies used by her team, along with NLP tactics and method acting skills to create the 'sales persona' they have always dreamed of playing. Ashleigh’s extensive experience in the Film and Television Industry also enables her to share with you unique prospecting techniques. “Sales is what makes the world goes round…if you want to succeed in sales you must learn how to change the way you use your brain and your subconscious mind.” ~ Jordan Belfort, (the real Wolf of Wall Street). There is a scientific way to increase sales performance, the main idea being to expand your cognitive capacity. Instead of mainly using your conscious awareness as most people do, you need to tap into your subconscious mind. Wouldn’t you love to walk into any sales meeting with techniques that could help you to build instant rapport with your prospects? During this keynote Ashleigh Alsadie is going to take you through exactly that. As a qualified Master NLP Coach and Founder and Director of the lead generation company The PromoDonna, she has worked with individuals and organisations all around Australia, training them on how to more effectively sell using neuro-linguistics programming techniques. For many years, Christine built a successful career in leading organisations such as Kraft Foods and Simplot in product and marketing management. After experiencing the worst side of the recruitment industry, in 2000 she decided to leave behind that career to start her own specialist recruitment consultancy. Over the last 17 years that business has evolved into Chorus Executive; a holistic talent management consultancy that services the full life-cycle of an employee; Recruitment, Coaching and Career Transition and Personal and Leadership Branding. Christine’s belief is that a business can only be successful when the goals and motivations of its people are aligned to the broader goals and motivations of the business. Specialising in coaching, executive recruitment and organisation development, Christine is a regular guest on SkyBusiness Channel and a sought-after guest speaker. During this presentation you will learn about the importance of your personal brand both online and offline. A strong personal brand is essential to attract opportunities, customers and staff. At the end of this session you will understand the key attributes of your brand and will be given some tips to how to leverage your brand to attract the opportunities you want and deserve. Andrew helps others become congruent with their authentic, unique gift, on stage and in front of a camera. To 'feel' what it’s like when using their gift and how to clearly articulate it to others. He directs his clients to seek this ‘feeling’ each time they work and instill confidence in their ability and uniqueness. The Presenter’s Experience, an effortless style of Presenting that’s simply a true expression of your authentic self and creates deep connections with your audience. Carolyn is a Kinesiologist and business owner of Empowered Happiness, meditation expert, workshop facilitator and author of Empowered Happiness - Discovering Bliss Beyond Depression and has also co-authored numerous other books. She has studied a variety of different Kinesiology techniques including Professional Kinesiology Practitioner, Brain Gym, LEAP and Primitive Reflexes and continues to study different modalities. She is a student of life and is continues to read and learn about new things. She is passionate about helping people find real and lasting happiness and is especially passionate about helping those that have hit their rock bottom. Life is a journey and it’s in the journey that true happiness can be found. Learn how to boost your brain power with simple techniques you can use at any time and anywhere. These techniques will boost your creative power, increase your ability to take in and absorb information and help you articulate yourself more succinctly. Anna Osherov is a Sales & Marketing Specialist a Trainer, a Speaker, a Positive change maker. Since completing her Bachelor of Communications in 2003 she has worked at award-winning marketing agencies, consulted to small business owners and NFPs, run a franchise of Aussie Farmers Direct, founded Revive Success Training and has just launched the Holistic Business Hub, a beautiful and calming venue for hire where holistic practitioners, business professionals, and soulpreneurs can host their own events, a space where people can teach, learn, collaborate and grow. Her personal vision is for every person to love the life they live. And her mission is to cause global transformation by inspiring every person to be extraordinary. This may sound idealistic and one may ask; how can a marketing specialist achieve these goals? The answer; helping those that help others. 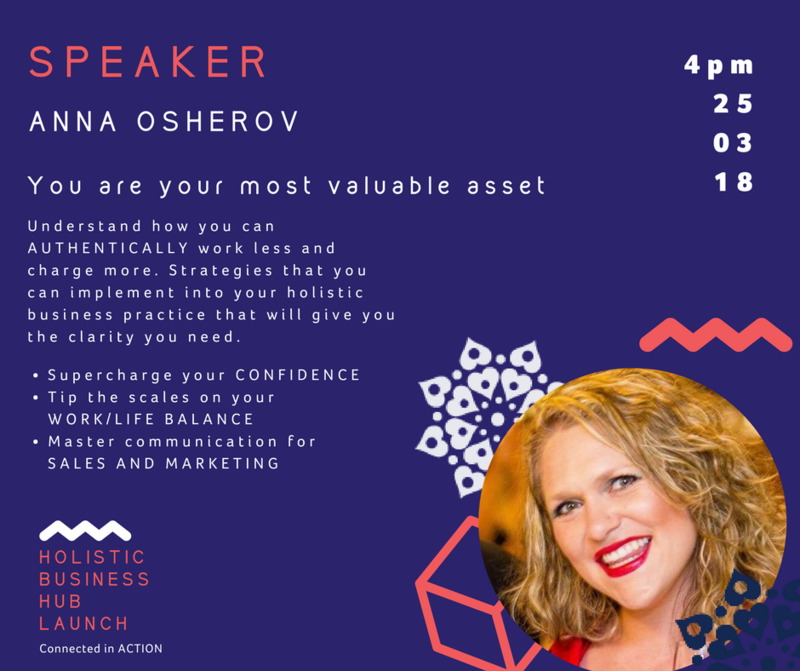 In her keynote; You Are Your Most Valuable Asset, Anna will be exploring what it means to define your value and understand how a value-based proposition can help you AUTHENTICALLY work less and charge more. Erik Bigalk from Smart Solutions is a Holistic Business, quantum coach, award-winning salesperson, entrepreneur, speaker and internationally published writer. He is the founder of Smart Solutions, a brand communication, PR and creative marketing firm based in Melbourne. He is also the co-founder of lead response tech start-up LeadCaller and the editor for Bali Good News Magazine. Over the past two decades, Erik has assisted a wide range of local, national and international companies, experts and entrepreneurs to increase brand awareness and expand their audience reach. He is frequently sought out for media commentary, and as a writer, consultant and keynote speaker. Having studied human behaviour and witnessed the divide between ‘making money’ and being spiritual has led me to bring the two together in my own business and in coaching my clients. In his keynote, Erik will be exploring the underlying challenges and benefits of integrating heart and spirit in your work/business. How you can bring your highest self into expression through your business. And how this relates to the way you market your business. He will also be touching on congruency in your key messaging and aligning your customer experience to your core values and more. Kleo Merrick is a successful business owner, speaker, and adviser to businesses and startups. Her audience stretches all across Australian and has been described as “Energetic”, “Inspiring” and “Humorous”. Her personality is infectious and combined with her love of events and online marketing, will captivate an audience quickly and easily. Kleo is the CEO of Mindstream Coaching and the creator of Mindstream Business Academy, a company she founded in 2013 where she runs successful events and also teaches businesses how to increase profits by leveraging their skills & knowledge and packaging their services. 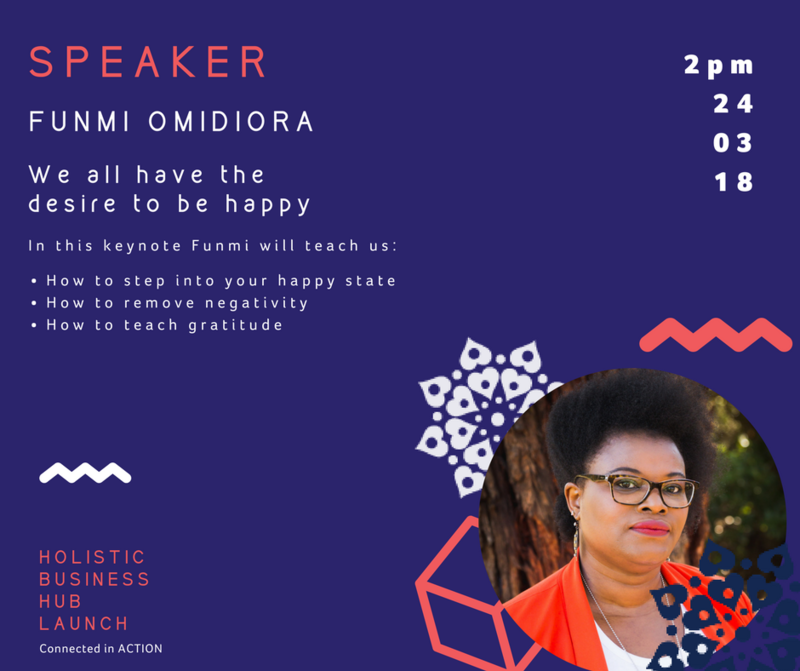 She is the author of, ‘Compelling Selling: How To Earn More By Selling Less’ and creator of her signature online program ‘How To Get Your Sparkle Back’. Kleo is extremely passionate about using events and online marketing for raising her clients’ profiles and creating one-to-many businesses, rather than slaving away in a one-on-one and time-for-money business that they’re unable to scale. In her keynote, Kleo will be teaching us how using events and online marketing for can raise our profiles and create a one-to-many business.